For nearly two decades, VeriFone systems and solutions have delivered the speed, convenience and security of electronic payment to millions of businesses worldwide-serving travel merchants in stores and travel merchants on the Internet. Verifone offers a comprehensive range of point-of-sale terminals and printers, and innovative software payment solutions. Their credit, debit and smart card products are renowned for their fast, efficient performance, capturing payment information at the point of sale and quickly transferring it from the travel merchant counter to the payment network for approval. You can choose among countertop, integrated and stand-alone payment terminal models, each offering support for a variety of payment options to fit into specific travel merchant environments. Nurit offers state-of-the-art point-of-sales (POS) terminals, cash registers, receipt printers, PIN pads and other popular electronic transaction peripherals. Their products provide the retail travel merchant a full and optimal solution to all electronic draft capture requirements. All of Nurit's terminals are designed for multi-application purposes, enhanced travel merchant functionality, convenience and ease-of-use, fast transaction time, low communication costs, auto-downloading of software, and tele-diagnostics. 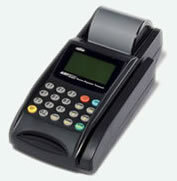 Depending on the particular model, terminals can accept multiple card types, including smart-chip cards. Lipman's POS products easily integrate into any Public Switching Telephone Network (PSTN), RAM-Mobitex wireless data link service, Cellular Digital Packet Data (CDPD) network, or any regular cellular communication link. 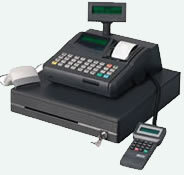 Terminals incorporating built-in PIN pads allow for protected debit/credit card transactions. Hand-held PIN pads are fully compatible with the Nurit Line of POS terminals and those of other manufacturers to enhance transaction security features. Likewise, Lipman's external NURIT receipt printers are fully compatible with most popular terminals of other manufacturers. Hypercom develops, manufactures and supplies leading-edge electronic transaction terminals, peripherals, point-of-sale networks and software. Their products enable travel merchants to automate credit, charge, debit, electronic benefits transfer (EBT), smart card and e-commerce transactions and provide access to Web-based information and applications at the point of sale.